*Updated 17/01/19. From time to time we'll post an update when we discover links to outdated or inoperative content and services. Since Prevoo, Family in Safe and Togethera are no longer active, we've added other great apps to help you stay connected! As a patient, would you benefit from apps that alerted your support network every time you visited the hospital or had a few spare minutes to chat? Almost definitely, right? Apps for patients are nothing new but apps that help connect you with your support network could have a seriously positive effect on your life and if they happen to be a little fun, all the better. Staying in touch with your friends and family throughout treatment can benefit everyone involved. Allowing your loved ones to feel connected can remove the sense of powerlessness that they might feel as you battle onwards. Keeping them up-to-date also affords them the opportunity to support and help you when things are getting tough. In fact, when we asked our 15,000+ strong community of patients and former patients what helped them most on their darkest days, the responses were almost unanimous; family and friends rock at busting through the worst days. The thing is, asking for help can be hard, as can predicting when you might need some extra support. 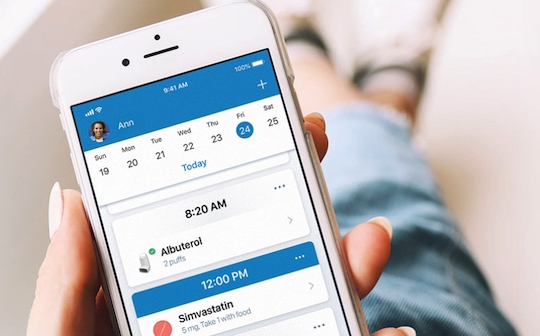 The list of apps that aim to help people connect is endless, so we decided to find the ones that could help patients stay connected with minimal effort. 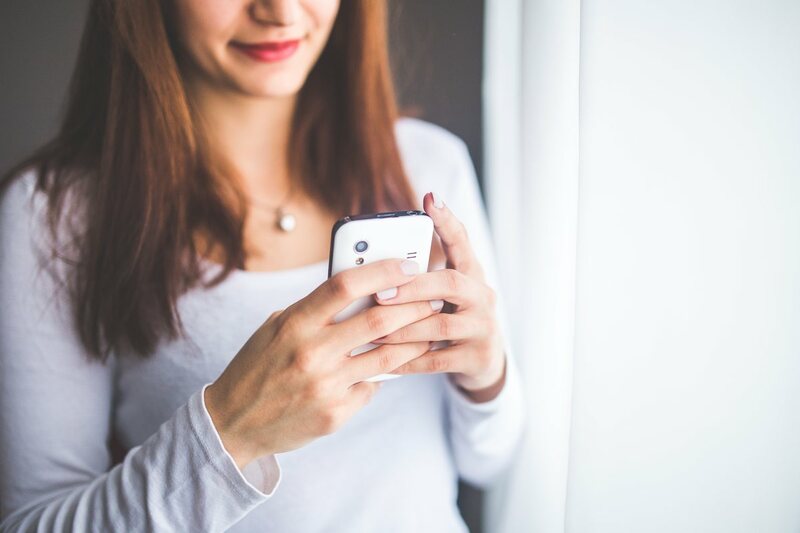 Though none of our favorites were designed specifically for patients and their support networks, we think these clever apps could become invaluable when it comes to connecting and informing your loved ones easily and safely. Check out the list and be sure to forward it to everyone in your support network. Our bet is that each and every member will be excited to get such insights into your treatment and needs. Android and iPhone. Your friends and family are probably willing to do just about anything to help you on your road to health...so why do they never call? We hear it all the time, and we bet that nine times out of ten the reason is sweeter than you fear; they are afraid of disturbing you, of calling at the wrong time and causing setbacks, or waking you from much-needed sleep. Carely brings communities together. It approaches communication for a caregiving standpoint so you can let friends and family know what time is good for a a chat, when to come over for tea or just if you can help with groceries. 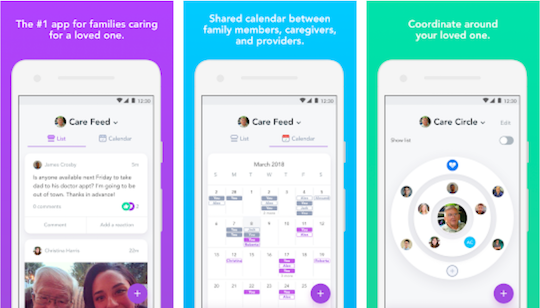 You can post messages to share updates or ask a question, and you can share your calendar to keep everyone posted on your appointments or errands you need to do. Another handy aspect is that this app can also be used by care providers to coordinate efforts with different patients and facilities to speed up communication. This way they can efficiently manage the needs of multiple patients at the same time. Android and iPhone. It’s probably a familiar scenario. You arrive at the hospital, fill in a number of forms, text mum to let her know you made it, fill in more forms, text your sister, quick chat with a nurse to clear up some of her questions, text mum back, compose half a message to your bestie, doctor meeting, back to unsent message, another meeting, and repeat. Before you know it your day is over, you’re exhausted, and you’ve forgotten to message half of the people you promised updates to, while the other half are not entirely sure if you made it to the clinic at all. Familonet aims to change situations like this. Download the app, create a group, and input the places that matter to you all. Android and iPhone. By the way, we love the idea of creating a group with other patients you have met on your journey so that when you’re in the same clinics, you can find one another. If you've got a bad memory or have a million things to do, MediSafe is a free app for just such users. Invite loved ones, caregivers and healthcare professionals to share in your care. Android and iPhone. Do you have a lot going on? Finding it difficult to synch up with friends and family? This app helps you and those around you to plan and monitor useful things like daily activities, meals and you location. It's also a great place to track, store and share your medicine and health history. You also get 24/7 monitoring through wireless and wearable devices to track things like glucose, heart rate, activity, medication, weight, calorie intake and sleep. Best of all, so you can quickly share this information with your doctor, pharmacist or caregiver whenever and wherever your need to. Android and iPhone. "Where have you been? I've been waiting here for 30 minutes!" If that sounds familiar then this app can help. Instead sending 101 text messages, this app has a customisable location feature so you know if your sister is going to be on time...or not. We get it, sometimes life gets complicated and you just want to keep close friends and family in the loop without copy-pasting every message. 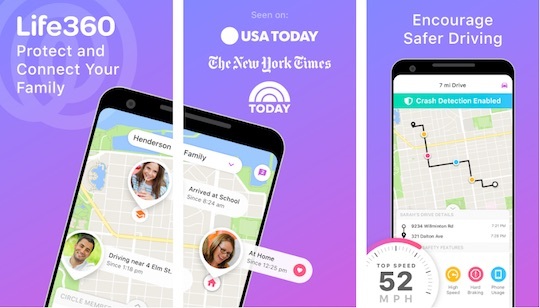 Life360 lets you coordinate carpools or figure out who's taking grandpa to his doctor's appointment. It even allows you to create different "circles" so that you can send relevant information to specific family/friend groups. Another lovely feature involves peace of mind for drivers. It gives information on your route and how you're driving. You can also let others see this information so if anything happens on your drive, they'll be the first to know. We believe that these apps could be valuable for people battling illness, but we also believe that people battling illness are incredibly valuable to others. If we got something wrong (or right! ), or you have other suggestions for this list, we want to hear from you. Find us on Facebook, Twitter, and Instagram to share your experiences and knowledge with us and help us help others.